Illite, most commonly known as French green clay, is a type of mineral clay valued for its highly absorbent properties. Illite is a bio-mineral, composed of both decomposed plant material and trace minerals such as calcium, aluminum, magnesium, silica, phosphorous, copper and zinc. Alternative medicine practitioners believe this composition makes French green clay particularly beneficial as a therapeutic treatment for a variety of health concerns, and it is one of the most popular clays used in Pelotherapy. French green clay has historically been used as a beauty treatment and is a common ingredient in many current-day commercial face masks. Mountain Rose Herbs, an organic botanical products manufacturer based in Oregon, indicates that French green clay is beneficial in removing impurities and tightening the pores, toning the skin, exfoliating dead skin cells and reducing inflammation in acne. It can also be used as a full-body treatment to soften dry, rough skin. In June 2007, Arizona State University featured the work of Lynda Williams and Shelley Haydel in the Research Stories section of their website. Geochemist Williams and microbiologist Haydel have partnered to study the antibacterial properties of clay, including French green clay. The goal of their research was to understand why two types of French clay, mined specifically in France, were able to heal a deadly bacterial disease known as Buruli ulcer. This bacterial disease produces a toxin which eats away at the fatty tissue deposited below the surface of the skin, leading to large ulcers. According to the World Health Organization, without early antibiotic treatment, the disease causes deformities, long-term disabilities and, in some cases, death due to secondary infections. The study of French green clay as a treatment for Buruli was inspired by the positive treatment results using French green clay poultices recorded along the Ivory Coast by philanthropist and health advocate Line Brunet de Courssou. 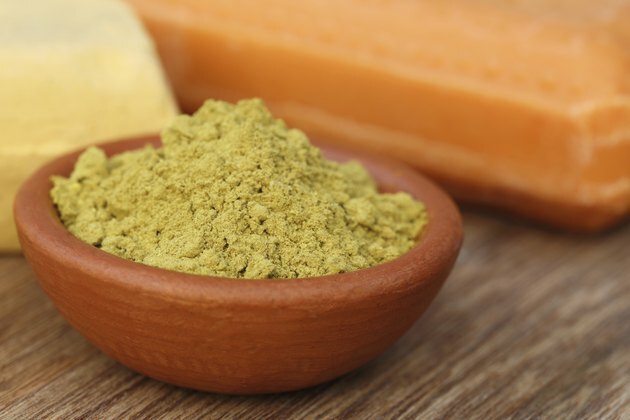 According the the Arizona State University report, the researchers have found French green clay effective in inhibiting Escherichia coli, Salmonella typhimurium, Pseudomonas aeruginosa, Staphylococcus aureus and Mycobacterium marinum, bacterial pathogens that cause serious and sometimes drug-resistant skin infections. According to Sandy Halliday, health expert, author, and self-proclaimed “detox specialist,” French green clay is beneficial in detoxing the body of toxins which alternative medicine practitioners believe cause many physical symptoms such as food allergies, headaches, digestive problems, and general fatigue or lethargy. French green clay is believed to have a natural negative electrical charge which attracts positively charged toxins from the bloodstream and tissue cells through the intestine and out of the body as waste. Halliday recommends performing a 21-day detox by drinking a mixture of 1 tsp. of French green clay to 8 oz. of water every morning at least 30 minutes prior to eating breakfast.